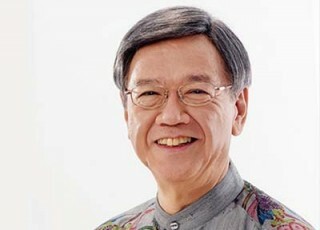 Incumbent Governor Hirokazu Nakaima is considering a third term. Revelations that Naha Mayor Takeshi Onaga is considering a run at Okinawa’s governorship is sending chills up the spines of the Liberal Democratic Party bigwigs in Tokyo, and suggesting a close, bloody race that could draw battle lines over Henoko. Onaga is a Liberal Democratic Party member, but he’s one of the rebels who’s opposing relocation of Futenma Marine Corps Station within Okinawa. Within his Naha Municipal Assembly, he has 11 LDP allies who are prepared to swear allegiance to Onaga should he take on the race for governor, with promises of blocking the relocation of Futenma to Henoko in northern Okinawa. Onaga and his colleagues are confident they’d be representing the majority of Okinawans, who they contend are opposed to keeping the controversial airbase on Okinawa, even though it would be relocated from crowded Ginowan City. A challenge from Naha Mayor Takeshi Onaga would cause serious headache in Tokyo. The LDP already has a degree of consternation bubbling at the surface, thanks to Governor Hirokazu Nakaima’s radical move last December in approving the land reclamation necessary to build the Futenma Replacement Facility at Camp Schwab, with two V-shape runways extending on stilts in adjacent Oura Bay. Nakaima accepted the environmental report only days after Prime Minister Shinzo Abe made extensive financial overtures to Okinawa. Perhaps to insure his decisions don’t become mired in additional controversy, Nakaima’s now saying he may run for a third term as governor. If he does toss his hat in the ring, it promises to be a nose-to-nose battle between him and Onaga. Except for the issue of U.S. military bases being on Okinawa, the Naha Mayor and the Governor see eye-to-eye on most projects and issues. Nakaima’s seemingly set in his decision to make sure the Henoko project actually is accomplished, despite the fact it would make him governor as he approaches 80 years of age. He says it’s important to keep the central government accountable and “moving toward a solution”. Nakaima running for reelection would most certainly guarantee that Tokyo would have to stand close behind him, fulfilling the Okinawa politician’s promise that Futenma would be closed within five years. 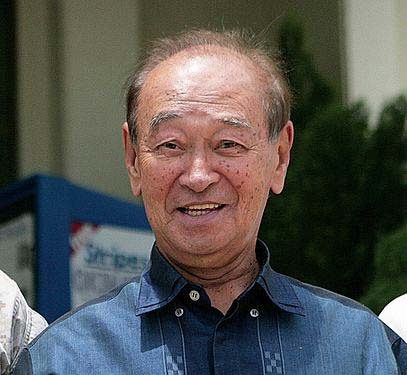 Shrewd as he is, most observers think Nakaima would squeeze additional concessions from the central government in exchange for Futenma’s move to Henoko.